Some of Susan Kare's iconic designs. There’s no more famous name in computer icon design than Susan Kare, who remains best known for creating the famous icons for the original Macintosh. Having spent three decades working in the tech space, Kare is now being honored with an American Institute of Graphic Arts (AIGA) medal, whose previous winners have included the likes of Paul Rand, and Charles and Ray Eames. The AIGA website includes a short biography of Kare. In the early 1980s, Kare was a sculptor before being brought on to the Macintosh project. Her connection to Apple came about because she was an old high school friend of Andy Hertzfeld, one of the programmers on the Mac. In recent years, Kare has worked for Facebook and, currently, as creative director at Pinterest. She’s also worked for companies including Microsoft, Intel, IBM, Motorola, and Sony Pictures. 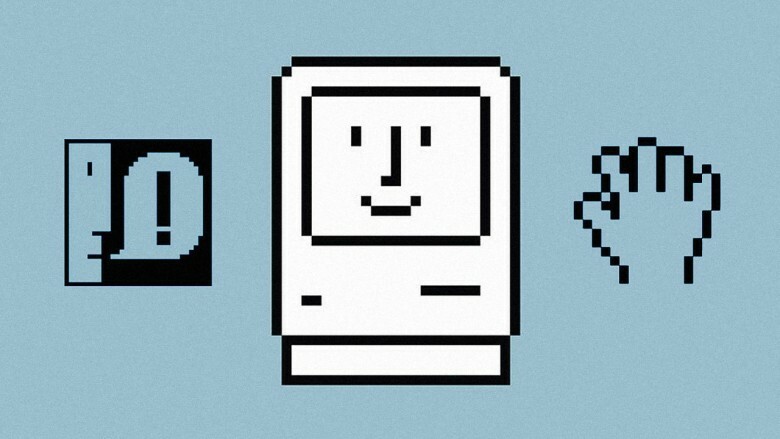 Apple’s focus on eye-catching graphics and simplicity owes a huge debt to Susan Kare. It’s great to see her recognized by her peers!